WARNING: This blog post may make you gain weight. It was a pot luck arrangement, and we were assigned dessert. In case you didn't know, dessert is a BIG DEAL. Everyone remembers dessert; especially if it's good. A bad dessert will *literally* leave a bad taste in people's mouths. (Top Chef proves this over and over and over again.) I needed something that EVERYONE would love, from age 2 on up, for a hot day. I say we require planning because both ice cream makers have freezer bowls, which really do need to be frozen 24 hours in advance of use. Fortunately, ours live in my Standing Freezer of Love (Dr. Chill, whom I got as a Valentine's Day gift when we got Richard Blaze), ready at a moment's notice to serve my whims. And serve they do! If you clicked through, you'll see that the smaller one claims to be a 1 1/2 quart ice cream maker- which is a lie. It does 1 quart comfortably. When Costco put the 2 quart one on sale, I snapped it up with the intention of finding a new home for the smaller one. I could talk about all the varied paths my good intentions are busy paving, but we can skip that, right? I decided to do two quarts of a tried-and-true favorite, the Ben & Jerry's Sweet Cream. 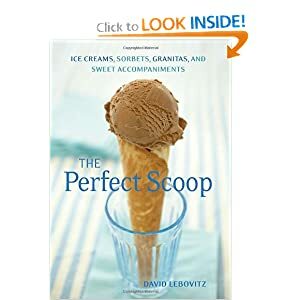 Then, I picked up my trusty copy of The Perfect Scoop and picked out the Aztec "Hot" Chocolate recipe. Pepper is chocolate anything is all the rage these days, and this ice cream is a prime example why. It's totally, 100%, full of MMMMMMM. But three quarts felt... unbalanced. We had chocolate and "un"-vanilla. And half a flat of fresh strawberries. Any other woman would have sliced the strawberries and served them on the side. Not me. I flipped through my trusty ice cream recipe book and found the recipe for Strawberry-Sour Cream Ice Cream. The thing you need to know is that I HATE STRAWBERRY ICE CREAM. It was so easy, we through together a double batch for the knitting group at the last minute- and it was ready about 10 minutes after they showed up. The ice cream? Was a resounding hit with the neighbors, their kids, and the knitting group. Do yourself a favor. Make some ice cream. Just be warned: it's completely addictive, and totally worth it. Oh wow, the chocolate ice cream sounds like ancho chile fudge pie, which is a Texas thing but should be an everywhere thing. I made my first batch of homemade strawberry ice cream about seven years ago and it's now a summer staple around here. I've always really disliked the store bought stuff so it was a total shock when I tried the homemade stuff for the first time. It really is strawberry heaven. 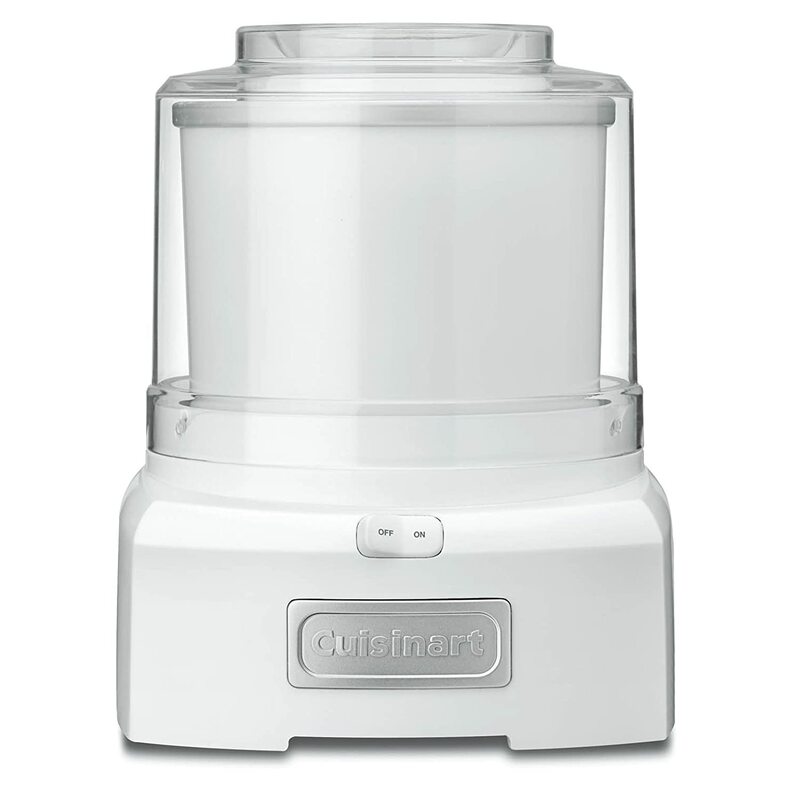 Nice ice cream maker, by the way :) I have a Cuisinart one too but it's purple. I love THE PERFECT SCOOP. I always borrow it from the library but am thinking I need my own copy. I'm going to try the Strawberry-Sour Cream ice cream. 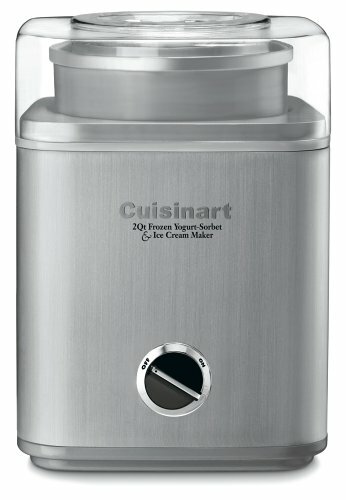 I too have a Cuisanart ice cream maker, but mine is boring white! Ugh, you're such an enabler. Do you have to make a whole quart or can you make smaller amounts. Okay, you did it! I'm convinced that I now need to add an ice cream maker to my kitchen equipment. Summer, here I come. My mom used to love to bake, but now she loves it when I bake. A couple of times a year, she'll buy some new and impressive gadget for me to use. I repeatedly told her whatever you do, do not buy an ice cream maker. What did she do last Christmas? Bought an ice cream maker. I gained ten pounds off ice cream alone. I've always hated strawberry ice cream, too -- it tastes exactly the way Strawberry Shortcake's head smelled. (Do they still make those dolls?) I bet homemade would be delicious, though.